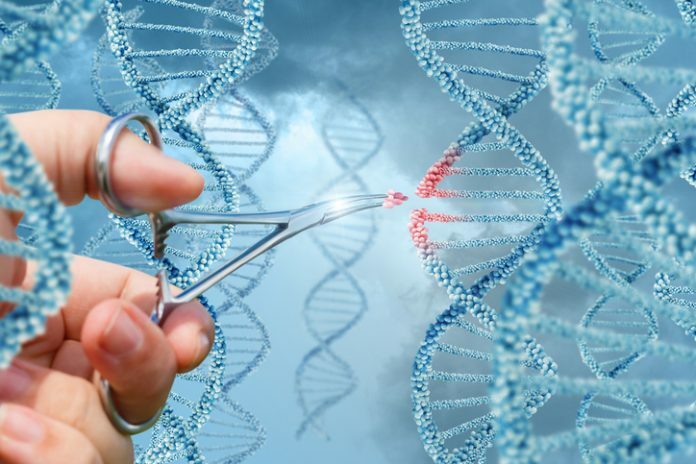 Despite the signficant promise of CRISPR to correct the genetic underpinnings of disease, the technology still has signficant risk off-target effects—instances when non-targeted genes are altered. Scientists from The University of Texas at Austin took an important step toward safer gene-editing cures for life-threatening disorders, from cancer to HIV to Huntington's disease, by developing CHAMP, which stands for chip-hybridized association-mapping platform. It repurposes next-generation sequencing chips to enable the massively parallel profiling of protein–nucleic acid interactions. The scientists used CHAMP to provide the first comprehensive survey of DNA recognition by a type I-E CRISPR-Cas (Cascade) complex and Cas3 nuclease. CHAMP, the scientists showed, was able to simultaneously measure the interactions between proteins and ∼107 unique DNA sequences. Additional details appeared June 29 in the journal Cell, in an article entitled, “Massively Parallel Biophysical Analysis of CRISPR-Cas Complexes on Next Generation Sequencing Chips.” These details suggest that CHAMP provides a framework for high-throughput, quantitative analysis of protein–DNA interactions on synthetic and genomic DNA. Essentially, these findings led to a model for the biophysical constraints governing off-target DNA binding. This model, for example, suggests that Cascade pays less attention to every third letter in a DNA sequence than to the others. “So, if it were looking for the word 'shirt' and instead found the word 'short,' it might be fine with that,” explained Stephen Jones, Ph.D., a postdoctoral researcher at UT Austin and one of three co-lead authors of the Cell paper. Knowing such rules could lead to better computer models for predicting which DNA segments a specific CRISPR molecule is likely to interact with. And that can save time and money in developing personalized gene therapies. The researchers took a DIY approach to developing the equipment and software for their technique, using existing laboratory technology. The heart of the test is a standard next-generation genome sequencing chip already widely used in research and medicine. Two other key elements—designs for a 3D printed mount that holds the chip under a microscope and software the team developed for analyzing the results—are open source. As a result, other researchers can easily replicate the technique in experiments involving CRISPR. “Next-generation genome sequencing was invented to read genomes, but here we've turned the technology on its head to allow us to characterize how CRISPR interacts with genomes,” noted Andy Ellington, Ph.D., a professor in the department of molecular biosciences, vp for research of the Applied Research Laboratories at UT Austin, and a co-author of the paper.